One evening in June my neighbor excitedly called and asked me to come photograph an Owl Moth that has landed on her front porch. It was beautiful! I’ve never seen an insect that this before! 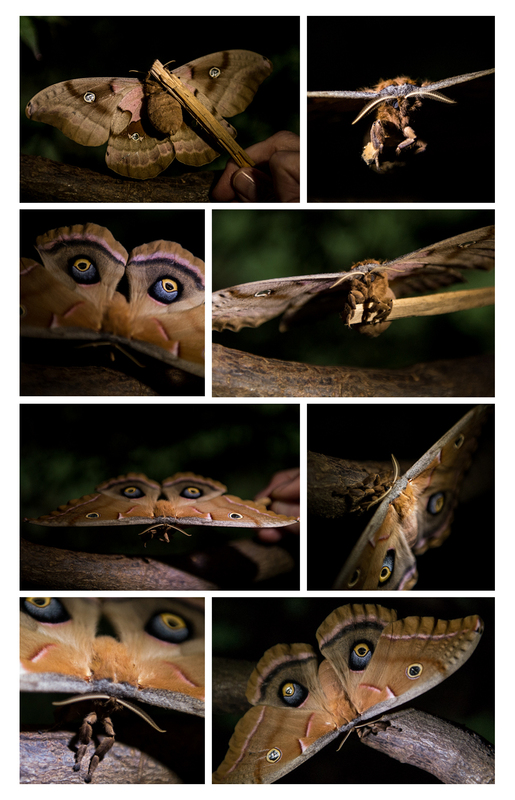 After a little research I found that this nocturnal beauty was actually a giant silk moth called Polyphemus Moth found in North America. It gets its name from the Greek myth of the Cyclops Polyphemus because of its large “eyes” on its hind wings. These “eyes” also act as a defense by resembling the head of an owl when the wings are spread. Two unusual things about his moth: 1- it is looks like it is covered in fur and 2 – it doesn’t have a mouth. I don’t know why it’s hairy, but it doesn’t need a mouth because it only lives less than a week and there’s no need for nourishment. The adult’s only purpose is to establish the next generation. One last little tidbit about these moths. The difference between a male and female is the length of the hair on its antennae. Our little beauty was a female because the hair on her antennae was short. There are so many amazing things on this earth. Get out, walk around, and open your “eyes” to the wonders of the universe!